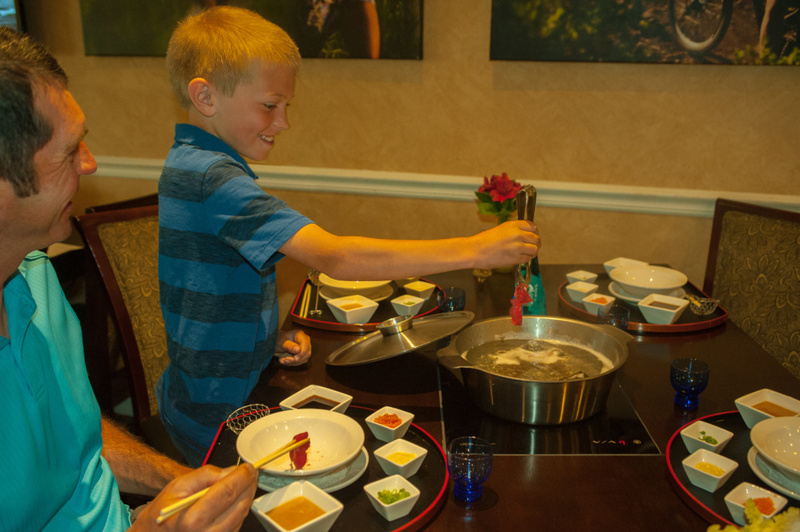 Lake Tahoe Resort Hotel is now offering a new immersive dining experience in Echo Restaurant – Shabu Shabu. 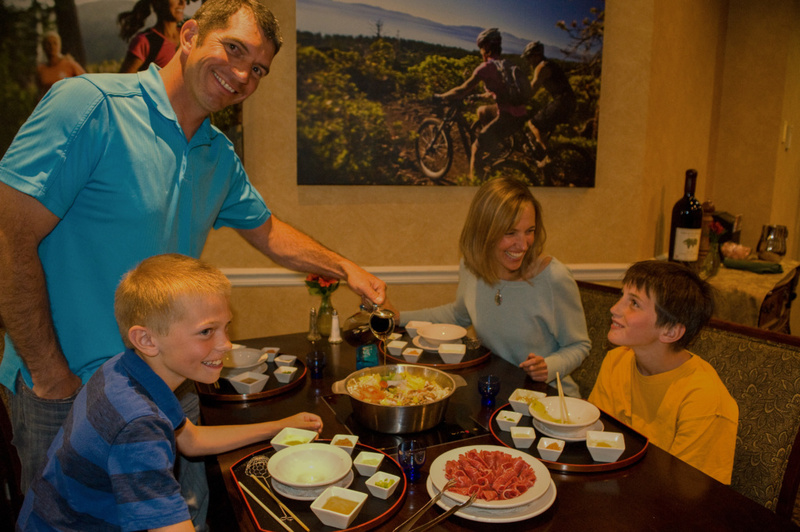 A Japanese delicacy, the name for this “cook your own meal” hot pot experience comes from the sound the ladle makes as you stir the dish. Diners receive a cooking pot full of Kombu, a clear seaweed broth. The broth is used to cook side platters of vegetables, tofu, and Udon noodles. You then have a choice of select, thinly sliced meats, and two kinds of dipping sauce. Vegetarians can select additional vegetables. Now comes the fun. Place your choice of veggies and meat in the boiling broth and wait three to four minutes as your meal cooks at your table. This healthy and filling meal is a dining experience the whole family can enjoy as each person can create their own. The heart of the meal is in the broth, as the raw vegetables and meats absorb the flavor. Or try the Sukyaki, a sweet soy sauce broth that comes with the veggies already in the pot. It is served with a dipping sauce and poached egg and diners have their choice of meats to add. Japanese cuisine pays careful attention to appealing to all five senses. 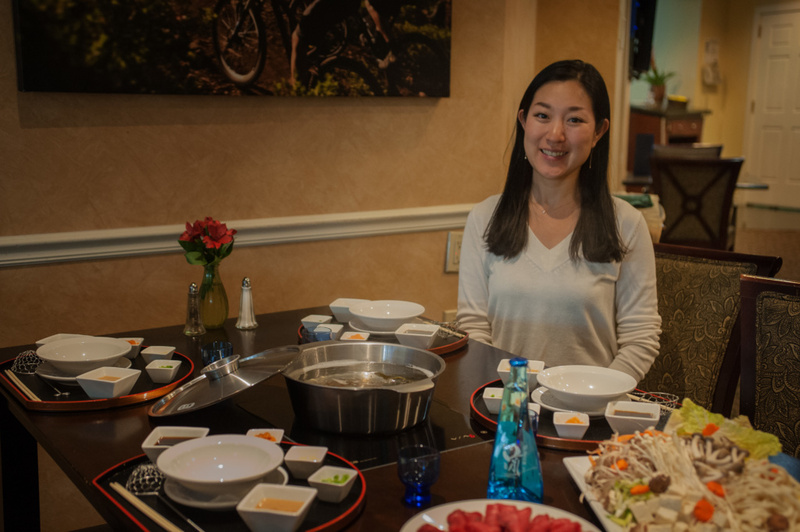 Shabu Shabu, brings together flavor and aroma with sounds and sizzle to entice diners with the ears and eyes as well as their palate. Your meal is served with Kombu, a clear seaweed broth used to cook side platters of: assorted vegetables, tofu, and Udon noodles. Served with two kinds of dipping sauce. Add your choice of meat (below). Your meal is served with assorted vegetables, tofu, and Udon noodles inside Sukiyaki (soy) a sweet soy sauce broth. Served with a dipping sauce and a poached egg. Add your choice of meat (below).